Harvey Reid and Joyce Andersen stopped by with a preview of their 2018 holiday shows. 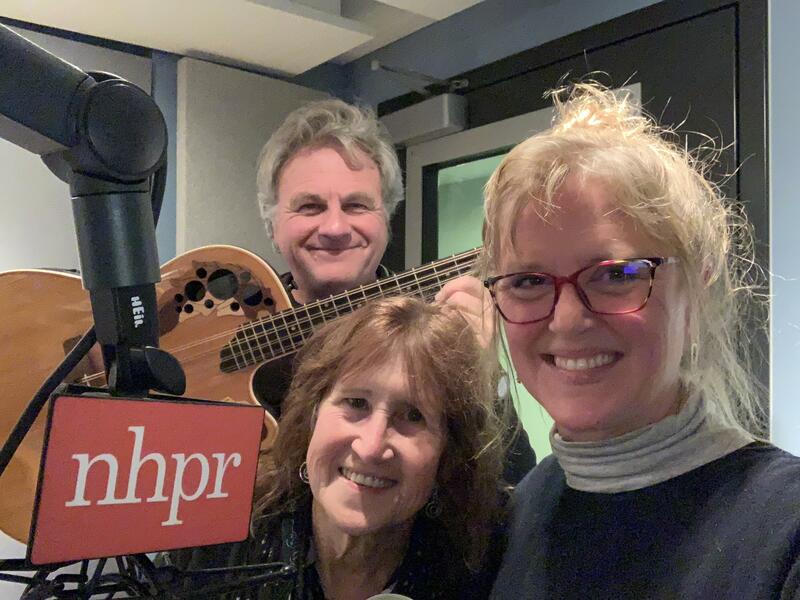 Harvey Reid, Joyce Andersen and Kate McNally at the Folk Show at NHPR. 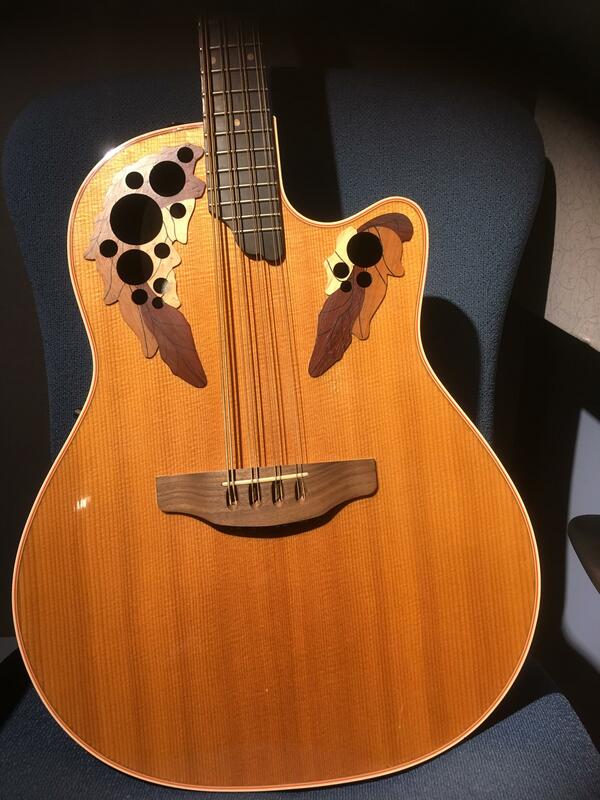 Harvey Reid brought his mandocello to The Folk Show. 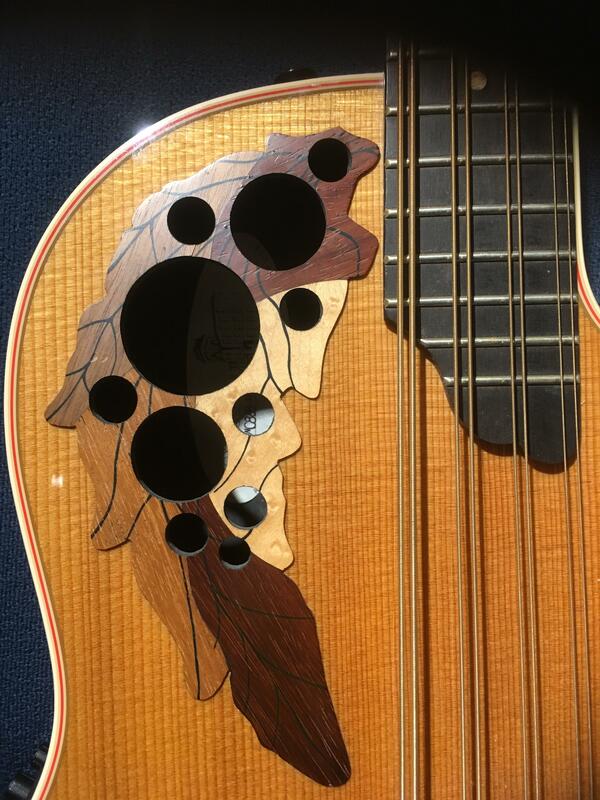 A close up of the inlay on Harvey Reid's mandocello.